With any new technology, it takes a bit for people to buy into idea. It took a bit of convincing, and still does to this day, to have people drop the craft and art of skate sharpening and pickup a new automated technology. Especially, when history wasn't so kind to us with past automated skate sharpeners. Flatbottom profiles have a long and storied history from Redmond in 1983 to our current FIRE grinding ring. Founder/CEO Russ Layton lays out the developments and discoveries leading to our current FIRE ring. He also shares his thoughts on what it's like to skate on a flat bottom profile. Founder/ CEO Russ Layton gives a detailed rundown on best maintence tips for your Sparx machine. Tips include: clearing the dust tray, vaccumming the machine, replacing the filter and many more. Following these tips will ensure you the best possible results from the Sparx Skate Sharpener. After a few questions and comments regarding deburring, Founder/ CEO Russ Layton takes a few minutes to explain why you need to deburr your skates and how to deburr your skates, all while sharing a few tips and tricks picked up from NHL equipment managers. Ever wonder what it would like to have perfect skate edges every single time you take the ice? Imagine if you could sharpen your skates in the same amount of time it takes to pack up your hockey bag? 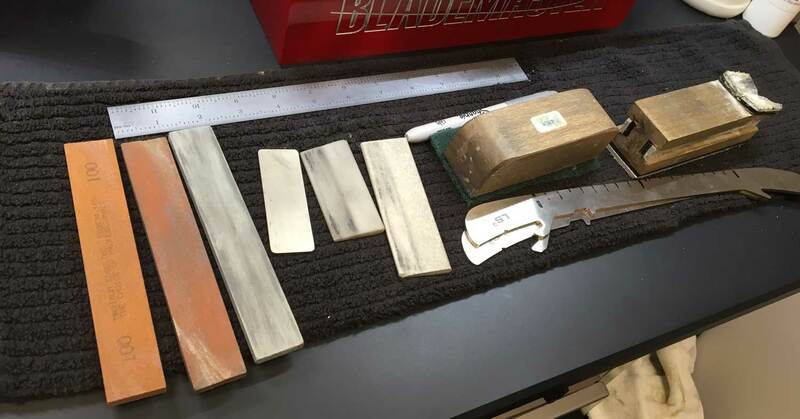 Sparx Hockey Founder & CEO Russ Layton shares his pre-skate routine and how easy and quick it is to make skate sharpening part of every time you get ready to play. If sharpening on Sparx is not part of your routine, you're missing out on some major, major benefits. Founder/ CEO Russ Layton shares the discovery and the process, that led to Sparx delivering perfect, even edges everytime you sharpen your skates. Founder/ CEO Russ Layton lays out the future plans for Sparx including when customers can expect new grinding rings and when Sparx is going global. Founder/ CEO Russ Layton describes the story on starting Sparx and how Sparx was able to be successful on Kickstarter and how crucial it was in bringing Sparx to market, by raising the money and generating the buzz.